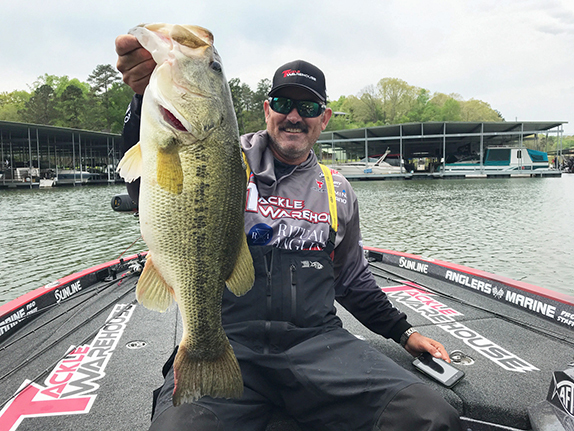 Carl Jocumsen caught a 20-02 stringer on Friday to grab the lead after day 1 of the FLW Series Championship at Lake Guntersville. Jocumsen will take a 3-ounce advantage into the final day of the event, which was shortened to two days after inclement weather moved through the area Thursday. The full field will fish again Saturday with the winner being determined by their two-day cumulative weight. 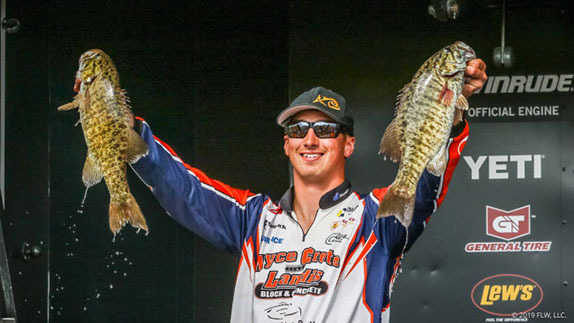 Jocumsen said that he went one-for-one with his co-angler, Jared West, (who leads the co-angler race) throughout the day, which made it difficult to pinpoint what the fish were doing. 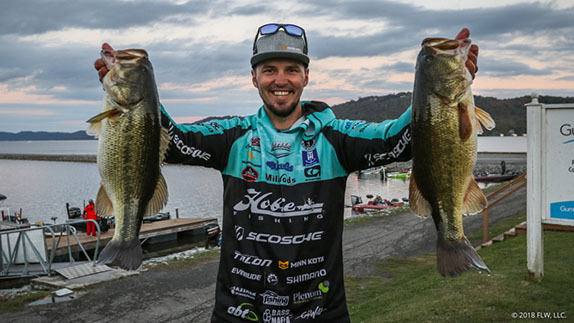 After the two logged catches with a few different baits, and with four good keepers in the livewell, Jocumsen said he decided to commit to the glide bait for the final two hours of the day. 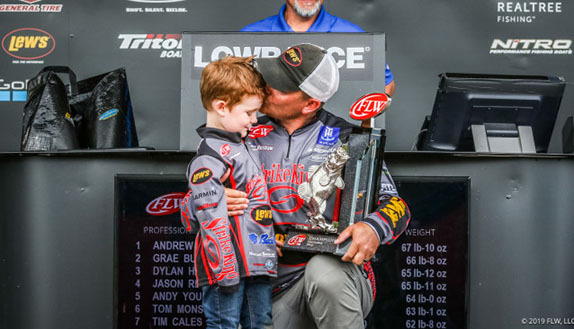 �I usually wouldn�t pick up the glide bait with two hours to go, but everything was right and I�d gotten some awesome bites on it Saturday [in practice],� said Jocumsen. �I went for it and a 5 1/2-pounder crushed it beside the boat. Once that happened, I never put it down. With about 35 minutes to go, I caught another 5-pounder and got rid of a 2 1/2-pounder � that put me at 20 pounds. Jocumsen said that on Saturday, he�s going to have to make some major adjustments in order to follow up his big day. He went on to say that while the weather may not play into his hands Saturday, there is still a chance the glide bait could produce some big bites for him, saying that stain in the water could mimic cloud cover and trigger some bites.